So I am sitting here getting pissed off while trying to figure out where all of my savings went. (They are driving 70 KPH down a main road by the way) Why strap it down when you can just hold it… literally? This is so scary but you see it all the time here. Just found you blog and I look forward to reading more. Are you actually living in Juarez? What made you all choose to live there, I'm just curious? 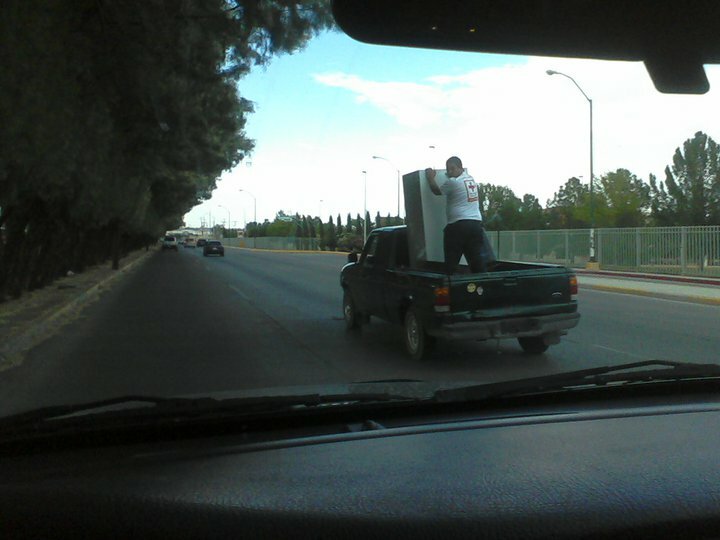 I am living in Juarez. We decided to move to Mexico because of my husband's immigration ban. Due to ongoing financial obligations from things such as student loans we had to pick a border town so that I could continue to work and earn a US salary. 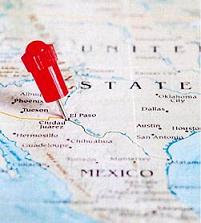 We decided on Juarez because of the economic situation in El Paso compared to other border towns and because of it's proximity to my family in the US and my husband's family in Chihuahua.